When I told my friends I was going to Europe on a pilgrimage, they were – understandably perhaps – a little cynical. But I had no plans to seek out the Virgin Mary in the holy grotto at Lourdes or climb St Patrick’s Mount on my knees. I had an entirely different kind of pilgrimage in mind. I would visit the hallowed ground where beer as we know it was invented, more than 150 years ago in Bohemia. Beer has, of course, been around for millennia. Credit for the first jar of fermented barley goes to the ancient Mesopotamians around 4000 BC in what is now Iraq. More food than beverage, it was drunk through reed straws while the first pub-goers sat around the urn on bar stools (another Mesopotamian invention). However, the golden lager we know today was a relatively recent invention. And for that contribution to civilisation we can thank the same Central European nation that invented semtex and the Škoda. So it was that I found myself in Pilsen, in the Czech Republic, stumbling off an early morning train. 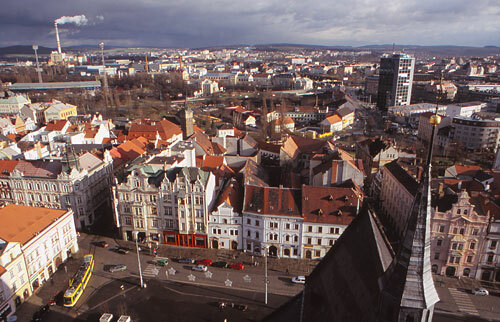 Known locally as Plzeň, this gritty, industrial city is the capital of West Bohemia province and has a population of about 170,000. 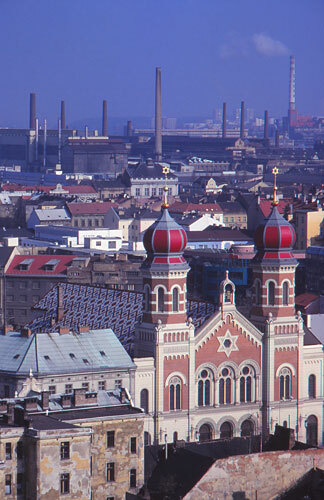 Unlike Prague, Pilsen was heavily bombed during World War II and rebuilt by the communists. It’s home to the giant Škoda engineering works and was until recently depressing even by local standards – Czechs claim the city’s decades-long neglect was punishment for being liberated in 1945 by the Americans instead of the Soviets. In the railway café, workers in fluorescent overalls were downing a few pre-work beers and poring over a menu of sausages, pigs’ knees and fried cheese. And in the grey dawn outside, beyond the station’s flaking plaster and statues of heroic workers, trams rattled along cobbled streets, past hamburger stands and the grotesque socialist-era House of Culture, now plastered in capitalist-era billboards. Pilsen as seen from the country’s tallest church spire. But Pilsen’s old town square has been transformed in recent years. Its once shabby, soot-blackened buildings have been restored and painted in pastel hues, and dingy workers’ canteens have given way to trendy cafés. The steeple of St Bartholomew’s Church, the tallest in the country, soars above the cobblestones with sweeping views across tiled roofs, factory chimneys and the newly restored Great Synagogue. And it was on these very cobblestones that a pivotal event in beer history took place, a crisis that had been brewing (excuse the pun) for centuries. When Pilsen was founded in 1295, the king granted brewing rights to 250 families living within the city walls. Beer quality varied greatly from house to house, and by the 15th century Pilsen had developed a reputation for bad brewing. Anyone with money imported beer from Bavaria in next-door Germany. The city’s crooked and inexperienced brewers were accused of confusing or falsifying ingredients, diluting the end product and using low-grade hops and malt. Then the 30 Years’ War (1618-48) decimated Pilsen’s economy and made a bad situation worse. Public anger finally came to a head in 1838, when irate city councillors confiscated 36 barrels of beer deemed unfit for drinking and smashed them in front of the city hall. The councillors’ outburst prodded Pilsen’s small-scale brewers into action. They joined forces in a citizens’ brewery and brought in a Bavarian brewer by the name of Josef Groll. Before Groll’s shake-up, beer was made by keeping mashed barley, hops and water at room temperature in an open vat with the yeast floating on top and turning the sugars into alcohol. But the Central European climate, with its hot summers and icy winters, played havoc with the fermentation process, leading to unpredictable and often unpalatable results. Since the 15th century the Bavarians had been experimenting with cold fermentation, leaving their beer to ferment in caves with a year-round low temperature. The cold made the yeast drop to the bottom of the vat (hence the term “bottom fermented”), resulting in slower, more controlled fermentation, while the caves also protected the beer from wild yeasts. The new “lager” beer – from the German word for “storage”, referring to the long ageing period – was an improvement, but still brown and murky. Groll’s breakthrough was to combine this Bavarian innovation with local ingredients and a bit of tinkering with the brewing process. He poured the world’s first pint of bottom-fermented golden lager on October 5, 1842, just as the Industrial Revolution and ice-making machines made large-scale production possible. The new beer was a sensation. Copycat lagers sprang up across Europe, forcing Groll’s team to change the name from Pilsner (“beer from Pilsen”) to Pilsner Urquell (or Plzeňský Prazdroj in Czech, meaning “the original source”) to distinguish it from dozens of imitators. To this day, you can order beer in many parts of Europe by asking for a “pils” or a “pilsner”. But enough of history. I wanted to see the real thing. I met my guide, Tomáš Raboch, at the brewery’s historic gate, just a few hundred metres from the railway station. He told me the brewery gets 100,000 visitors a year, mostly from Germany, Russia and the US. And that’s not counting the tens of thousands who turn up for the October Pilsnerfest, three days of free bands and 40,000 litres of beer. 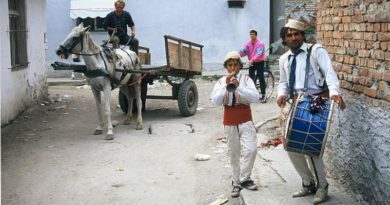 In 1999 the global beer giant SAB-Miller bought Pilsener Urquell, and the millions of dollars pumped into the brewery since then are immediately obvious. These days the brewery produces about two million hectolitres of beer, about half of which is exported or brewed under licence in Poland and Russia. Out first stop on the Beer World tour was a gorgeously filmed history of Pilsner beer. It was also a prime example of how to turn a fascinating story into a dull piece of PR. Raboch then ran me through the beer-making process and showed me the impressive new brewing hall, all gleaming tiles and copper mashing-kettles controlled from a computer station. It looked like the Starship Enterprise crossed with an old-time brewery. Pilsner Urquell’s ultra-modern brewing hall. But the cellars are by far the best part of the tour, and not just because that’s where the tasting happens. Cut from sandstone beneath the brewery, this nine-kilometre labyrinth used to house thousands of oak lagering barrels at a naturally chilly 5-6 degrees C.
Raboch told me the brewery only brought in steel lagering tanks in the early 1990s and showed me where some beer is still brewed by the old method in open vats. After 12 days the beer is decanted into barrels, lagered for a month and quaffed by tourists. This cloudy, unfiltered beer straight from the barrel is superb, yeasty and – because this beer has yet to be pasteurised – literally alive. Our next stop was Pilsen’s Brewing Museum in a 13th century malt house near the old town square. The museum traces the history of beer from ancient Mesopotamia and its first mention in Czech historical records (in the year 933 by a certain Bishop Vojtech, who complained about his monks’ excessive alcohol production). Exhibits include a spiked steel collar of shame for merchants who sold bad beer or short-changed customers – a device that could come in handy in some present-day Prague bars – plus a collection of beer paraphernalia and a section dedicated to beer records. Apparently, the Czech Fero Vidlicka holds the record for downing a half-litre while doing a handstand (4.8 seconds), and the greatest number of coasters anyone has crammed into their mouth at once is 55. Raboch also explained the city’s medieval beer-testing technique: The beer was poured onto a wooden bench, onto which councillors parked their leather-trousered behinds. If the bench was stuck to their pants when they rose an hour later, the beer was deemed to be good quality. But the morning’s sampling had given me an appetite. I met Pilsner’s spokesman, Alexej Bechtin, in the brewery’s 600-seat underground restaurant. That makes it the biggest pub in the country, though not necessarily the most atmospheric. Lunch, however, was excellent: a slab of beef sirloin and half a dozen dumplings – the Bohemian staple, designed to mop up gravy and fill the belly – drowned in a creamy celery root and carrot sauce, served with a dab of cream and cranberries. All washed down, of course, with a half-litre of Pilsner. I asked Bechtin, between mouthfuls, what makes Czech beer special. Copper mashing kettles at Pilsner Urquell. Decoction, also known as mashing, is an early stage in the brewing process. Water and malt – which is basically sprouted barley – are heated in a copper kettle to make a sweet, sticky liquid called wort, before hops are added for bitterness. Traditional breweries repeat the mashing process twice or, in the case of Pilsner Urquell, three times. Czech beer also uses special ingredients, in particular Moravian malt and Saaz hops, regarded as the best in the world and grown in only a handful of Czech villages. And then there’s the centuries-old brewmaster tradition. “Some brewmasters are third, fourth, fifth generation, so they have huge experience. They’re traditional craftsmen, not freshly graduated brewing chemists,” Bechtin said. Put those unique features together and the end result is a distinctive golden lager with a hoppy aftertaste, more bitter than most Czech beers. “Pilsner Urquell represents exactly the right balance between bitterness, sugars and alcohol. And that,” said Bechtin mysteriously, “is the mystery”. If you exit the beer museum by a side door and cross a courtyard, you end up, very conveniently, in the Na Parkánu “tap room” nestled against the old city walls. It’s a traditional-style pub with simple wooden tables and dark panelling, tourist-friendly but geared to local drinkers. It’s also one of only a handful of pubs in the country with beer straight from the brewery’s lagering tanks. This is as fresh as pub beer gets: Pre-filtration, pre-pasteurisation, slightly cloudy and with a hint of yeast. It would be a crime to leave Pilsen without trying a few. 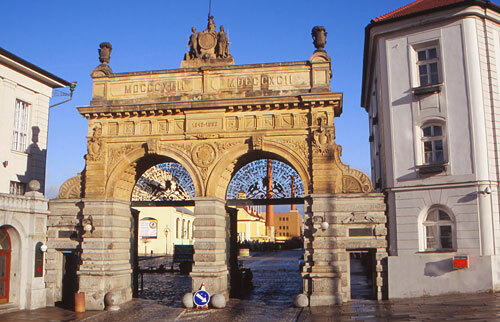 The Pilsner Urquell gate is depicted on every bottle the company produces. Among the shaggy beards and curling cigarette smoke, I spotted a pair of silver-haired gentlemen who looked like they knew their beer. I asked František Navratil and Jaroslav Heyda, lawyers onto their third yeast beer, for their take on what makes Czech beer unique. “It’s good-quality hops, good barley, good brewmasters and long tradition,” said Navratil. Then they reminisced about the old days. Most Czechs agree that the communist era was crap, but beer cost three crowns (15 cents) a handle and every town had its own brewery. “Now many of them have closed down,” Navratil said glumly. But when I asked whether Pilsner Urquell had changed since it was bought up by SAB-Miller, Heyda said the new owners wouldn’t dare tinker with a sacred institution. But not everyone agrees. 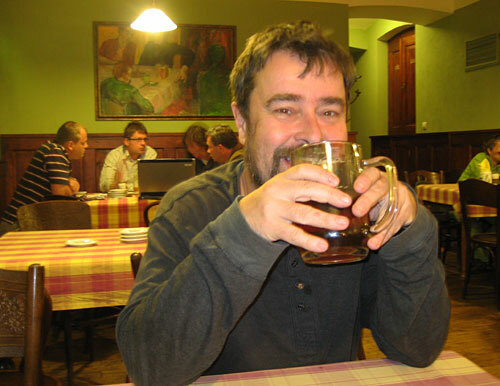 Among those watching the transformation of the Czech brewing landscape with dismay is Roger Protz, beer critic for The Guardian and a leading campaigner for real ale. “What made Czech beers great were the slow methods used, not just long ageing or lagering, but double and even triple decoction. Now that many Czech breweries are in the hands of global giants, everything is being sped up to cut production costs,” he told me by email. One of those changes was the switch from horizontal lagering tanks to the much faster conical fermenters now used at Pilsner Urquell. 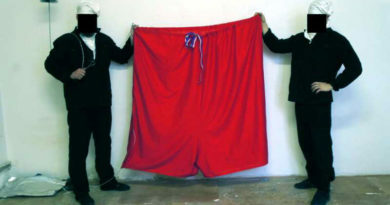 More controversial is Protz’s allegation that the company has also slashed the lagering period, when beer is held in cold tanks for secondary fermentation and ageing. Bechtin is adamant that the lagering period has always varied, and that one-month lagering was typical even a century ago. 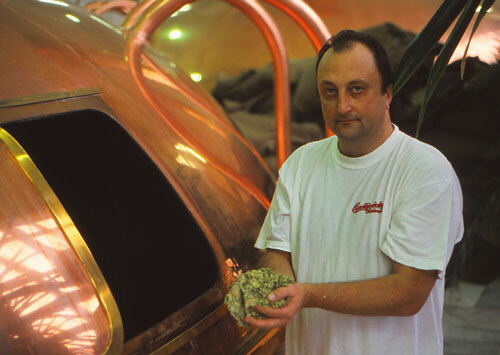 But Protz’s visits to the brewery in the 1990s convinced him lagering lasted 70 days. Now it takes 30. “I believe that Pilsner Urquell has changed dramatically in recent years, still a good beer but no longer a classic,” Protz said. The next morning I took a train to the Czech Republic’s other great brewing centre, the unpronounceably named České Budějovice, capital of South Bohemia. The city’s German name, Budweis, may be more familiar to beer drinkers. The tracks passed rolling hills capped by pine and spruce, villages jammed with consonants and red-tiled roofs, and a string of shallow lakes. They might look a natural part of the landscape, but these lakes were created centuries ago for raising carp, a Czech Christmas delicacy, using an ingenious system of dams and canals. České Budějovice’s square is dominated by Samson’s Fountain from 1727. Two hours later, the outskirts of České Budějovice looked uninviting: A sprawl of communist-era apartment blocks, factories and ramshackle allotments. But the centre of town is all charm, boasting one of Central Europe’s biggest squares, lined by pastel-coloured houses from the Gothic era through to the baroque. The 16th century Black Tower looms over one corner of the square, while at the centre a stone Samson grapples with a lion atop an 18th century fountain. 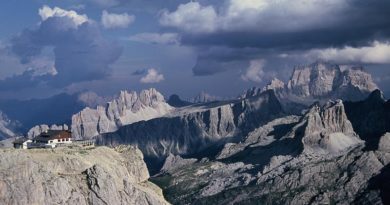 Despite the 100,000 population, the atmosphere is more large village than small city. The Budvar brewery, most famous in the country after Pilsner Urquell, is a few kilometres north of the centre on the main road to Prague. From outside it’s no beauty – it was rebuilt in the 1960s and again a few years ago in 1980s-style mirror glass – but it’s what happens inside that matters. 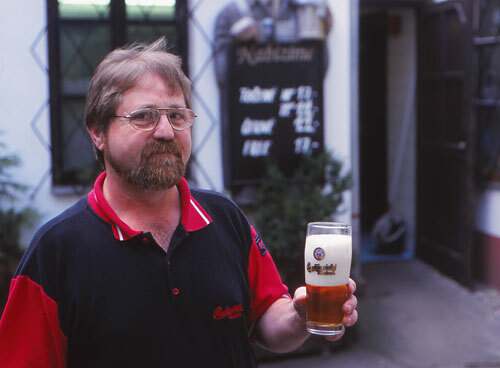 When I arrived, a row of buses was disgorging Germans on their own cross-border pilgrimage, and I had an appointment to keep with Josef Tolar, Budvar’s brewmaster for the past 20 years. Tolar is not exactly charismatic – grey moustache, grey suit and a passion for the minutiae of brewing chemistry. But groups like Britain’s Campaign for Real Ale see him as a guardian of brewing traditions, one of the few holding out against the cheap ‘n’ fast methods of the multinationals. Over a glass of 12-degree lager – that’s about 5 per cent alcohol in New Zealand terms – Tolar explained what distinguishes Budvar from other beers. Natural hop cones are a key ingredient in Budvar beer. For a start, Budvar uses water from a 300-metre-deep on-site well, Moravian malt and Saaz hops grown in a handful of Czech villages. Nothing too unusual in that, but it’s the form of the hops that’s different. Most breweries use pressed hop granules or a Vegemite-like hop extract to add bitterness to their beer; Budvar uses dried hop cones straight from the vine. Why? “Processing the hops raises the temperature and reduces quality. If you boil the wort with whole hops, some components are extracted more, while others remain in the leaf. For a mild, pleasant, smooth bitterness, it’s necessary to use full cones, not extracts or granules,” he said. 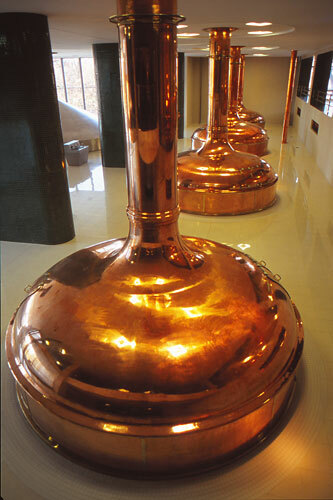 Another difference is the use of “open lautering”, in which the wort flows out of a series of taps and comes into contact with air – an old-fashioned technique that gives Budvar its pale golden colour. But perhaps the most crucial difference is the lagering period. 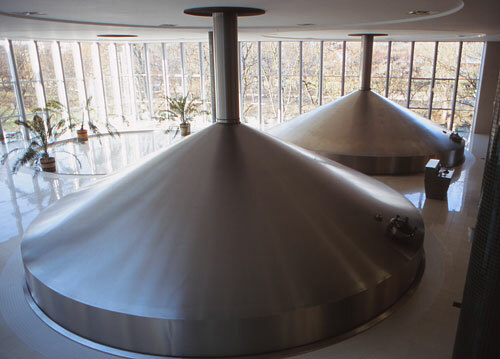 Nowadays most large-scale breweries age their beer for a month in a conical tank, whereas Budvar keeps its beer in the old-style horizontal tanks for three times as long. It was time for another taste test. I decided to head to a modest pub, Na Dvorku, hidden in a courtyard a block away from the main square, of the type favoured by blue-overalled labourers and hard-up students. Perhaps because, until a few years ago at least, a half-litre of Budvar cost just 17 crowns (NZ$1). But that wasn’t my only reason for choosing Na Dvorku. Many years ago, it was the scene of my first lesson in the Czech obsession with their national drink. I was enjoying a quiet beer when a middle-aged man at the next table clutched his chest and turned a deathly grey. His mates pushed two tables together and laid him out until the paramedics arrived to whisk him off to hospital with a suspected heart attack. But an hour later he was back – he’d discharged himself so he could finish off his beer. Head barman Antonín Husák pulls the pints at Na Dvorku. Like all traditional Czech pubs, at Na Dvorku the beer comes to you. There’s no queuing at the bar, and any time the level in your glass nears the bottom, the waiter slams a fresh beer on your table and marks your tab. Amid the laughter, clinking of heavy glasses and shouts of “vole!” (“you ox!”), I asked the barman, Antonín Husák, how to pull the perfect pint. If beer is a religion, then the head bartender is a high priest. Husák explained that Czech beer must be served cold (4-6 degrees C) and coaxed from the keg in stages to guarantee a lasting head – a contrast to New Zealand, where the glass is usually filled to the brim in one go. “The head must be thick like cream, and should hold for several minutes. You have to tap three times, wait each time until the foam falls, and then top it up again until the glass is filled to the mark and a foam cap rises above the rim. The head acts as insulation, stops gas escaping and preserves the taste longer,” Husák said. And if the glass has the slightest trace of grease or the pipes haven’t been cleaned, the head collapses instantly and won’t leave rings around the glass. Another bar and a bowl of goulash later – chunks of beef in a rich, peppery sauce sprinkled with chopped raw onions and served with the ubiquitous dumplings – I ended up sharing a table with IT consultant Kryštof Záček. Záček, like most Czechs, is an expert on the history of his national drink. While I sampled a frothing glass of Gambrinus – a cut-price version of Pilsner – he told me the climate of Bohemia, the western half of the Czech Republic, made it unsuitable for wine making. Bohemia and beer, on the other hand, have gone together since the Middle Ages. 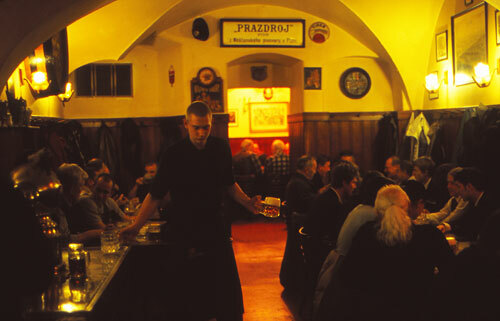 The Prague pub U Zlatého Tygra (The Golden Tiger) is a national institution. “In the past beer was barely considered an alcoholic drink. It was a high-energy drink for hard-working people in a cold climate. It has always been cheaper than wine, which was a drink for the privileged, for nobility,” Záček said. Beer is still the cheapest drink in the pub – even mineral water will cost you more – but its popularity goes beyond simple economics, to a dark place deep within the psyche of this self-doubting nation. Blame their history. “Czech people are desperate for something to be proud of, and Czech beer really is not bad. It’s something we can be proud of, and it distinguishes us from the rest of the world… Plus Czechs have been oppressed through almost all their history, so they drank as a kind of resistance, as a way of escaping and surviving,” Záček explained. Indeed, alcohol consumption doubled after the 1968 Russian invasion and the spirit-numbing era of Soviet “normalisation”. Though beer consumption has fallen since the Velvet Revolution, Czechs still lead the world: 167 litres per head a year, well ahead of the second-ranked Germans on 144 litres. New Zealand takes seventh place with 105 litres. And it’s not just quality, affordability and history that encourages Czechs to imbibe. The Czech pub is a home away from home for a nation long forced to live in cramped apartment blocks; it’s also a democracy where writers, labourers, tourists and even the president can bump elbows. A classic example is the pub U Zlatého Tygra (“The Golden Tiger”) in the heart of Prague’s old town, where the long wooden tables are packed within minutes of the 3pm opening. Tourists aren’t turned away, but they’re not exactly encouraged either. U Zlatého Tygra is the haunt of Czech writers and was also the place where the late President Václav Havel took his US counterpart Bill Clinton to see a real Czech pub. Apparently Clinton had three Pilsners and skipped his jog the next morning. Beer expert Simon Gill in his natural environment. Moves to close the pub in the early 1990s provoked a national outcry and a petition signed by thousands, including Havel. The Tiger survived. The president was not available so I asked Simon Gill, who traded Liverpool for what was then Czechoslovakia almost 30 years ago, about the appeal of the traditional Czech pub. If beer was a university subject, Gill would have a PhD. “When I first came here the pubs were fairly rough, but I enjoyed going to them. They showed society off guard, not as it wanted to be seen,” he said. Some days earlier, at Pilsen’s Brewing Museum, my guide Tomáš Raboch had shown me a room set up as a medieval pub and rented out for private functions. “People get married in here, not in church. They don’t believe in God much,” he said. And surveys of European religious belief prove Raboch is correct: The Polish are consistently ranked the most religious of all Europeans and the Czechs the most atheistic. At least my visit had taught me what the Czechs do believe in. Two breweries, a dozen pubs and countless lagers later, I too had seen the light. A golden, liquid light.